The first month of 2019 is already almost in the books! With that said, the month is drawing to a close. That means it's time to examine the next month of dividend increases. Prior to discussing the next month of dividend increases, I'll recap the dividend increases that we received in January thus far. Realty Income announced a 2.0% dividend increase from a monthly dividend of $0.2210/share to $0.2255/share. Overall, this was a bit below the $0.2290 monthly dividend that I was expecting to be announced. However, I'm perfectly fine with raises like this from Realty Income when we also consider that they'll raise their dividend several more times this year. Small, frequent raises add up too. This increased my annual forward dividends by $0.216 across my 4 shares. Enterprise Products Partners announced a 0.6% dividend increase from a quarterly dividend of $0.4325/share to $0.435/share. This was exactly what I expected in the previous Expected Dividend Increases series. My annual forward dividends increased by $0.09 across my 9 shares. EQM Midstream Partners announced a 1.3% dividend increase from a quarterly of $1.115/share to $1.13/share. This was below the $1.14 dividend that I predicted they would declare, but EQM also raises their dividend quarterly so this isn't as devastating as it would be if they only increased their dividend once per year. This increased my annual forward dividends by $0.24 across my 4 shares. Assuming the continuation of GPC's 5.5% 3 year DGR, the company will increase its quarterly dividend from $0.72/share to $0.76/share. This would increase annual forward dividends by $0.48 across my 3 shares. 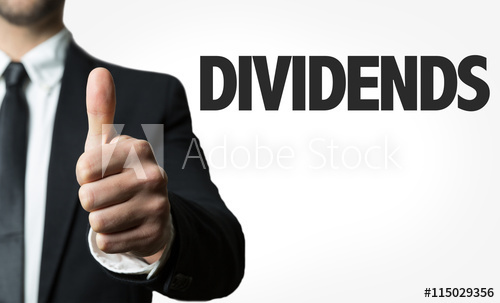 I'm assuming that HD will increase its dividend roughly in line with its previous dividend increase of 15.7%. This should result in the quarterly dividend of $1.03/share increasing to $1.19/share. This would lead to an increase in my annual forward dividends of $0.64 across my single share. If the past couple years are any indication, I suspect that PPL will increase its quarterly dividend by the same $0.015 fixed amount. This would result in a 3.7% dividend increase, from a quarterly dividend of $0.41 to $0.425. This would increase my annual forward dividends by $0.48 across my 8 shares. We added $0.546 in dividends through increases in the month of January, which would require a capital investment of $13.65 at a 4% yield to replicate. This was a fairly light month in terms of dividend increases, with all of my dividend increases being from companies that increase their dividend quarterly rather than annually, so that explains the light month. However, we can see that next month will be much more promising, with a projection of a $1.60 increase in annual forward dividends. Should my predictions in February be correct, it would require a fresh capital contribution of $40.00 to replicate the $1.56 increase in annual forward dividends, assuming a 4% dividend yield. How many dividend increases are you expecting in February? Are you expecting dividend increases from any names not mentioned in this post?